There was a lot of excitement at the Stages table: CEO Angela Nelson, Instructional Designer Kristen Nichols, and former special education teacher and current Marketing Coordinator Rebecca Pagitt-Mungai connected with over eighty graduate students who spoke about their wide range of personal experiences and interests including international policy changes impacting students with autism and app design and tool development for students with special needs. 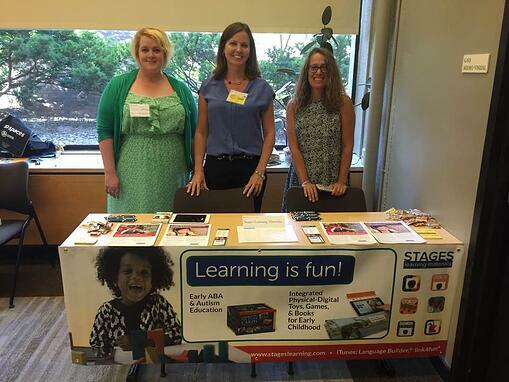 All alumnae of the Ed school at Harvard, the Stages team were especially excited to speak with former ABA therapists who were familiar with Stages Learning Language Builder products and eager to join the team. Rebecca Pagitt-Mungai, Angela Nelson and Kristen Nichols. As in previous years, Stages Learning serves as an incubator and test kitchen for students at the Ed School at Harvard wanting to hone their skills in designing learning tools for students with special needs including autism. User Experience and Interface Design, App Development & Marketing interns will assist with two new product launches under our new Link4Fun line targeting preschoolers, design new apps for special and general education, learn product curation skills, or work with us to develop new marketing strategies. Interns in this group will work closely with our team learning behind-the-scenes processes that have made Stages Learning the top provider of tools for language development for students with autism. Community of Interest and Content Development interns will help grow our community of users and continue to develop our online presence with creative content, articles, videos, and strategic support. Interested interns can also be involved in product launch strategy sessions and video production activities. 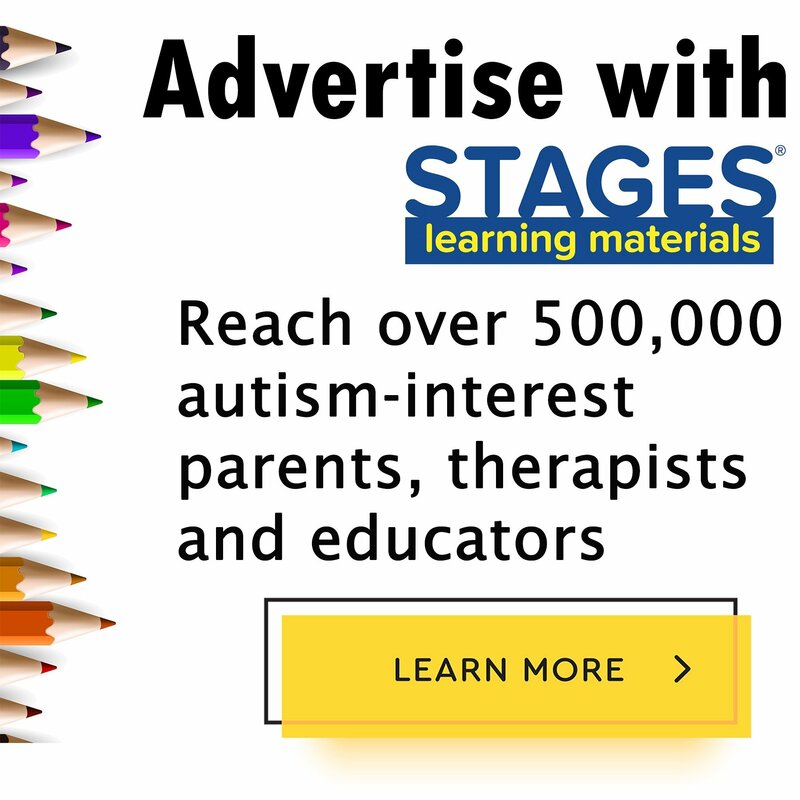 Stages Learning Materials was founded by a UCLA trained ABA Therapist in 1997, when Autism diagnosis first began to rise. Our top-selling autism education product, the Language Builder Picture Cards, was designed to specifically meet the learning needs of the individual with Autism. The Language Builder Series has become a staple in home and school programs throughout the world. 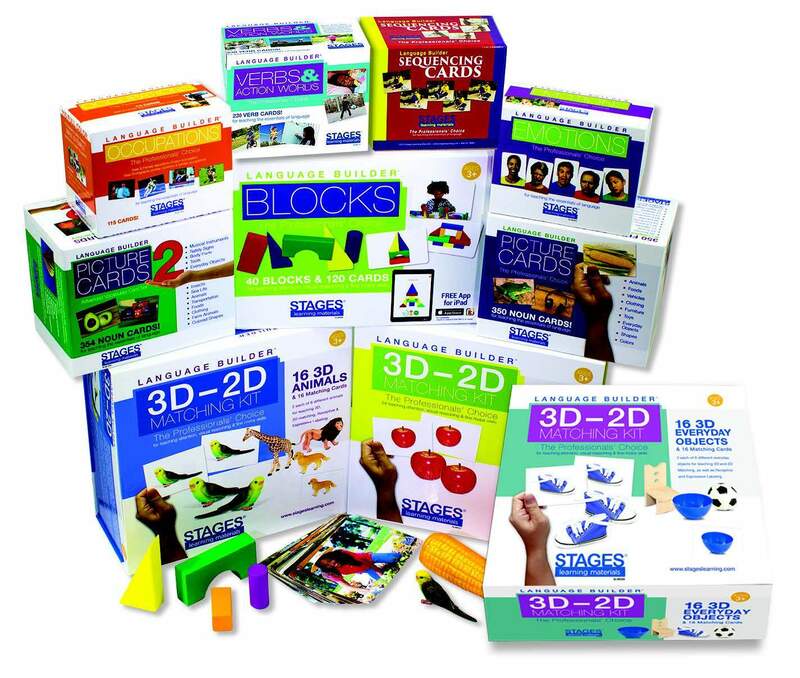 Today Stages offers a full range of award-winning real photo products for autism education, special needs, and preshool education. Our innovative Language Builder App, as well as our other products, can now be found in pre-schools, day care centers, early childhood classrooms, autism programs, speech language programs, and homes around the world. Our content strategist and intern coordinator Leslie Stebbins, also a HGSE alumna, will work closely with the interns to ensure that their time spent with the staff of Stages is not only productive, but also a time of personal growth and contributes to our overall mission of designing effective learning tools for children. In the coming weeks we look forward to introducing you to our team of interns and highlighting their contributions. Stay tuned!